Discrimination against lesbian, gay, bisexual and transgender federal employees has decreased dramatically in recent years, according to a new report, but Congress must still enact legislation to ensure LGBT workers are granted the same protections under the law as their heterosexual counterparts. Just 2 percent of federal employees said they were discriminated against in the workplace due to sexual orientation, the Merit Systems Protection Board found through analysis of its own research and that of the Office of Personnel Management. About 6 percent of feds said they saw discrimination based on sexual orientation at their office, but it did not affect them personally. While these numbers are encouraging, MSPB said, the lack of statutory recourse for federal employees who face sexual orientation-based discrimination remains problematic. The federal government created “prohibited personnel practices” in 1978, and began interpreting the ban against discrimination to include sexual orientation in 1980. President Bill Clinton in 1998 issued an executive order that more clearly prohibited prejudice in the federal workplace on the basis of sexual orientation, but he clearly stated he did not have the authority to grant certain legal protections, such as the right to take complaints to the Equal Employment Opportunity Commission. 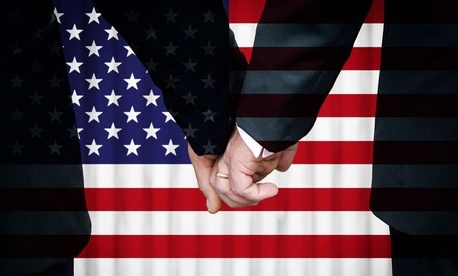 The 2002 Notification and Federal Employees Antidiscrimination and Retaliation Act, or No-FEAR Act, requires agencies to inform workers of their rights to combat discrimination in all areas except sexual orientation. Additionally, MSPB said, the guidance preventing prejudice against LGBT employees is based on interpretation and not law, meaning it could be reversed at any point. “Any ambiguity in the longstanding policy prohibiting sexual orientation discrimination would be resolved by legislation making that prohibition explicit,” the researchers wrote. The report also pointed to some data showing LGBT employees are currently facing workplace difficulties. In 2012, OPM began asking workers for the first time to self-identity their sexual orientation on the Federal Employee Viewpoint Survey. LGBT respondents consistently gave lower scores than heterosexual employees, and the overall satisfaction figures were 6 percentage points lower for LGBT workers. MSPB also found lower levels of engagement among that group. One in five supervisors said it was not clear at their agencies that sexual orientation discrimination was prohibited, while one in three non-supervisors said the same. In the 1950s and 1960s, the public maintained a “campaign against employing gays and lesbians” in the federal service. Thousands of federal workers lost their jobs during this period due to their sexual orientation. In addition to congressional action, agencies must ensure the policies of the past are not repeated in the present day, MSPB said. Federal executives should review their antidiscrimination policies to guarantee all their employees are treated fairly, the board recommended, and should work with LGBT advocacy groups for recruitment efforts.